Home » Telugu » News » NTR biopic starring Nandamuri Balakrishna, Rana Daggubati, Vidya Balan is being made at this whopping budget? NTR biopic starring Nandamuri Balakrishna, Rana Daggubati, Vidya Balan is being made at this whopping budget? 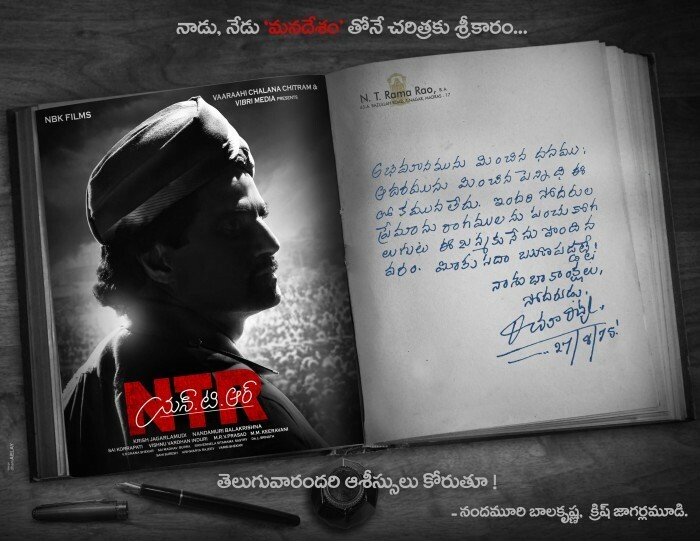 The highly anticipated NTR biopic is a talk of the town ever since it was announced. The biopic will feature Balakrishna himself in the titular role and will portray the life of NTR. The entire Telugu industry was quite excited to know that the film on the legendary actor is in making. Moreover, the star cast of the film has grabbed all the attention. The film will also see Bollywood actress Vidya Balan and the Baahubali star Rana Daggubati. Well, the shooting of the film kick-started a week ago, and reportedly, is being made on a whopping budget of Rs 50 crores. Massive sets for the opening scene have already been created. According to media reports, Vidya Balan will play NTR’s wife Basavatharakam, Rana will be seen as the Andhra Pradesh chief minister and NTR’s son-in-law N Chandra Babu Naidu. The biopic will be made in Telugu, Tamil and Hindi since NTR was a popular figure across India in films and political circles. The makers are yet to reveal the complete cast and crew of the film, which is expected to be announced in the coming days. It is going to be one of the much-awaited biopics of next year. With such a buzz even before the shooting of the film went on floors, it is only leaving us excited to know what N Balakrishna’s pet project has to offer to the audience.